Andrew Krebs-Smith, Founder & CEO of Social Fulcrum, is changing the way we market our businesses by using data, processes, and systems. 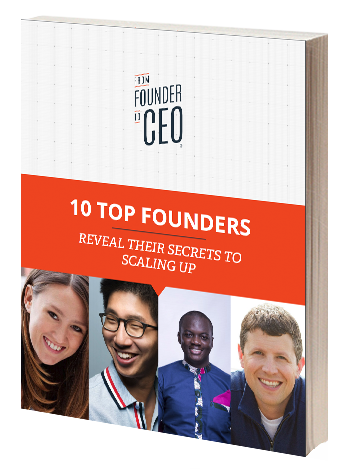 This experienced leader shares his amazing insights about many Startup CEO issues that you won’t want to miss. The power of data-driven marketing. How allocating work functions amongst your team creates focus and growth. How empathy helps resolve conflict, hiring, and communication overall. Bringing on partners that compliment your strengths. BONUS: You won’t want to miss his BIG Pinterest GOLDEN Marketing Nugget at the end of the interview. Powerful Promise of Value: Social Fulcrum and his team build scalable marketing machines for its clients by using data driven marketing. Daily Habit: Building systems to deal with his organizational weaknesses. Put everything on his calendar. And, recording all his phone calls on Uber Conference. Delegation Technique: Getting rid of ego and understanding there are people who can do things better than you. Meeting Advice: Have an agenda. Someone should prep if possible. At the end of the meeting have action items that are assigned to specific people with deadlines.